Boris loves being in the great outdoors and has an affinity with nature; he loves to feel at one with the planet. Sometimes he can take this to extremes…. 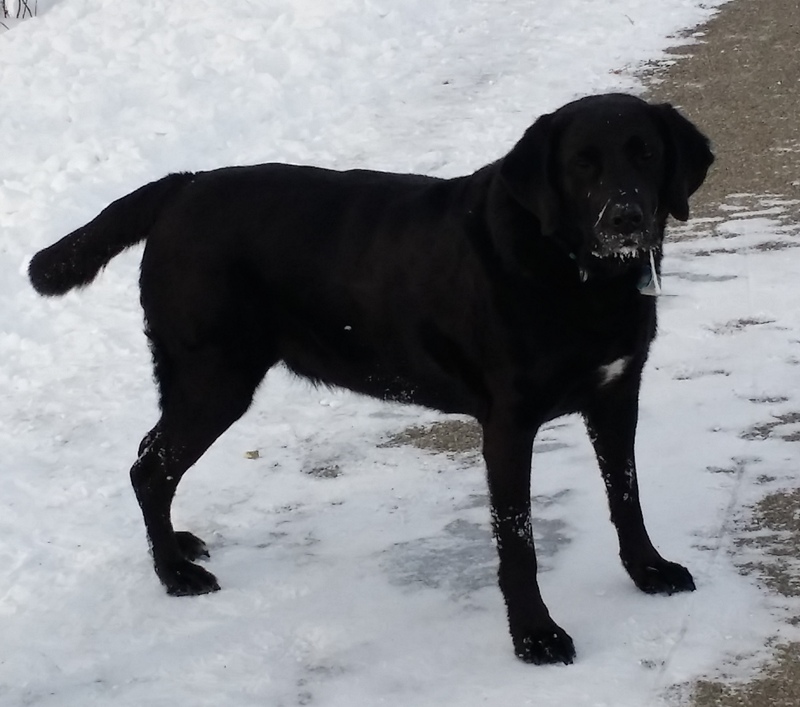 This entry was posted in Dogs, Musings, Nature, Weather and tagged Black Labrador, Boris, icicle, nature, snow, Stalactite. Bookmark the permalink.